(n) Security of Private Industries and Factories. 1 A U.P. Govt Undertaking. 5 No hassles of permanency. 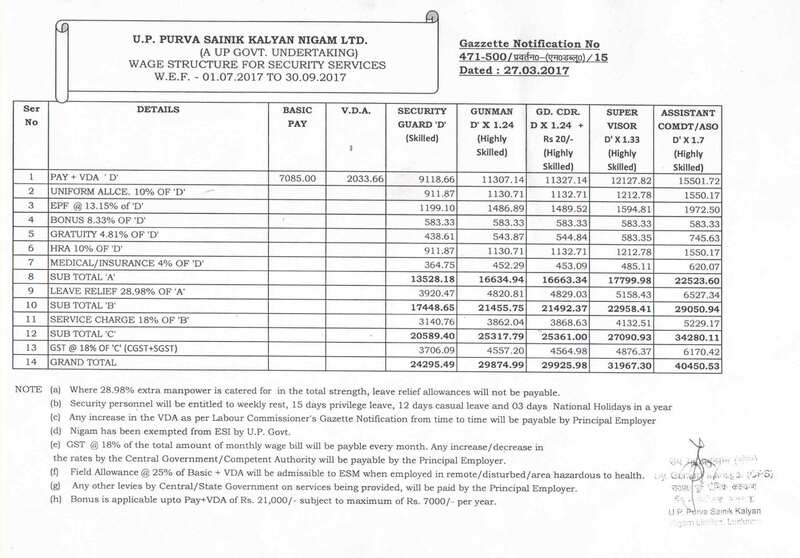 6 No liability of Principal Employer. 7 No ESI hence cheaper. 8 Cost of manpower much less than regular employees. (a) Timely availability of personnel. (b) Good turn out and punctuality. (c) Discipline and good behavior. (d) Prompt action against indisciplined personnel. (e) Continuous on job training. Principal Employer can approach our Regional Offices for various services provided by us or put up a request through Fax/ letter.